As NASA's Cassini spacecraft prepares to shoot the narrow gap between Saturn and its rings for the second time in its Grand Finale, Cassini engineers are delighted, while ring scientists are puzzled, that the region appears to be relatively dust-free. This assessment is based on data Cassini collected during its first dive through the region on April 26. 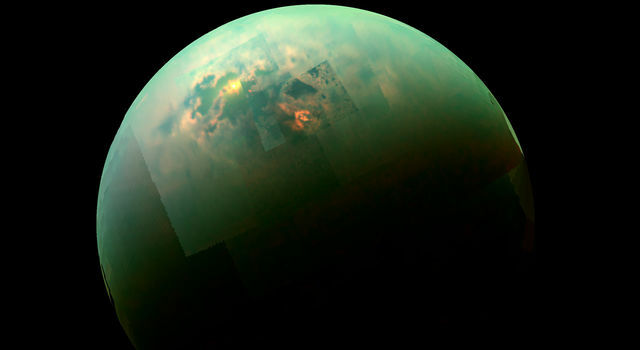 With this information in hand, the Cassini team will now move forward with its preferred plan of science observations. "The region between the rings and Saturn is 'the big empty,' apparently," said Cassini Project Manager Earl Maize of NASA's Jet Propulsion Laboratory in Pasadena, California. 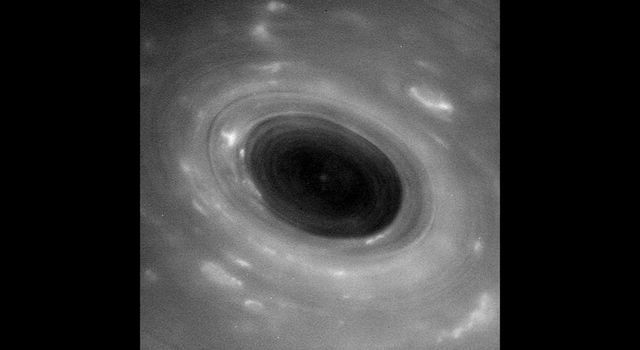 "Cassini will stay the course, while the scientists work on the mystery of why the dust level is much lower than expected." Based on images from Cassini, models of the ring particle environment in the approximately 1,200-mile-wide (2,000-kilometer-wide) region between Saturn and its rings suggested the area would not have large particles that would pose a danger to the spacecraft. 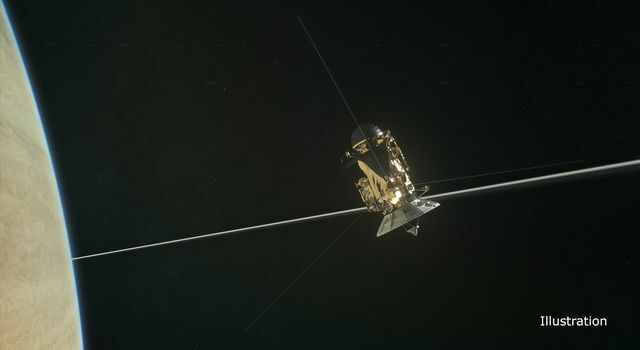 But because no spacecraft had ever passed through the region before, Cassini engineers oriented the spacecraft so that its 13-foot-wide (4-meter-wide) antenna pointed in the direction of oncoming ring particles, shielding its delicate instruments as a protective measure during its April 26 dive. Cassini's Radio and Plasma Wave Science (RPWS) instrument was one of two science instruments with sensors that poke out from the protective shield of the antenna (the other being Cassini's magnetometer). 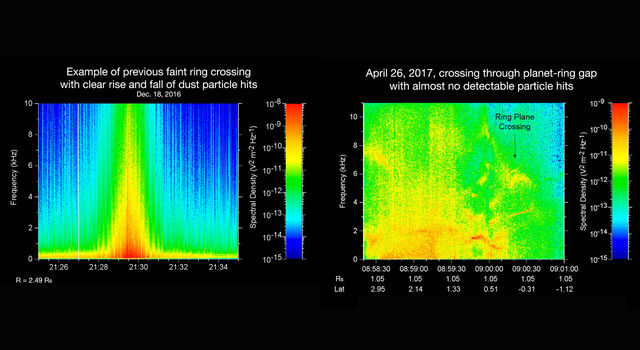 RPWS detected the hits of hundreds of ring particles per second when it crossed the ring plane just outside of Saturn's main rings, but only detected a few pings on April 26. 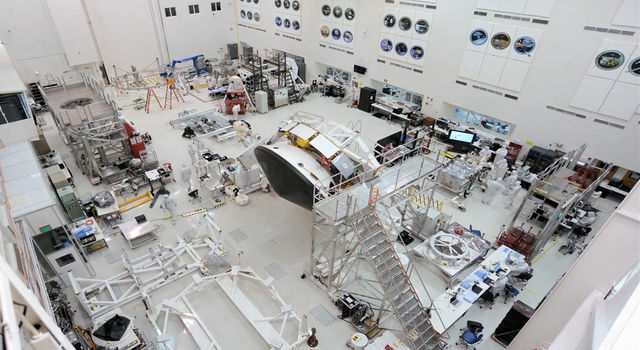 When RPWS data are converted to an audio format, dust particles hitting the instrument's antennas sound like pops and cracks, covering up the usual whistles and squeaks of waves in the charged particle environment that the instrument is designed to detect. The RPWS team expected to hear a lot of pops and cracks on crossing the ring plane inside the gap, but instead, the whistles and squeaks came through surprisingly clearly on April 26. "It was a bit disorienting -- we weren't hearing what we expected to hear," said William Kurth, RPWS team lead at the University of Iowa, Iowa City. "I've listened to our data from the first dive several times and I can probably count on my hands the number of dust particle impacts I hear." The team's analysis suggests Cassini only encountered a few particles as it crossed the gap -- none larger than those in smoke (about 1 micron across). Cassini will next cross through the ring plane Tuesday, May 2, at 12:38 p.m. PDT (3:38 p.m. EDT) in a region very close to where it passed on the previous dive. During this orbit, in advance of the crossing, Cassini's cameras have been looking closely at the rings; in addition, the spacecraft has rotated (or "rolled") faster than engineers have ever allowed it to before, in order to calibrate the magnetometer. 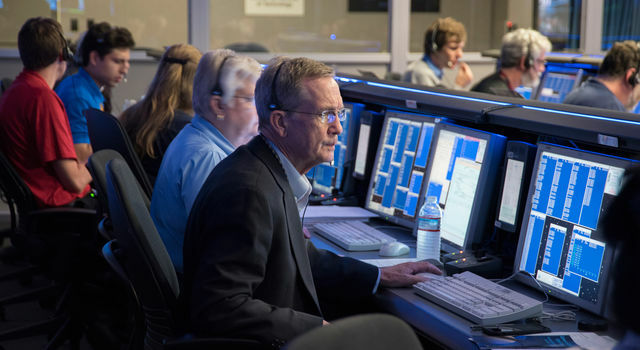 As with the first finale dive, Cassini will be out of contact during closest approach to Saturn, and is scheduled to transmit data from this dive on May 3.